There is something extra special about Christmas baking, maybe it’s because I have so many memories tied to being together with family and friends in the kitchen this time of year and sharing the experience as well as the goodies that we made. Growing up, my siblings and I loved to help mom make frosted sugar cookies. By the time we were done we had flour all over ourselves, frosting smeared on the cupboards and sprinkles all over the floor, but it was so much fun! To make these fun cupcakes, get your ingredients ready. 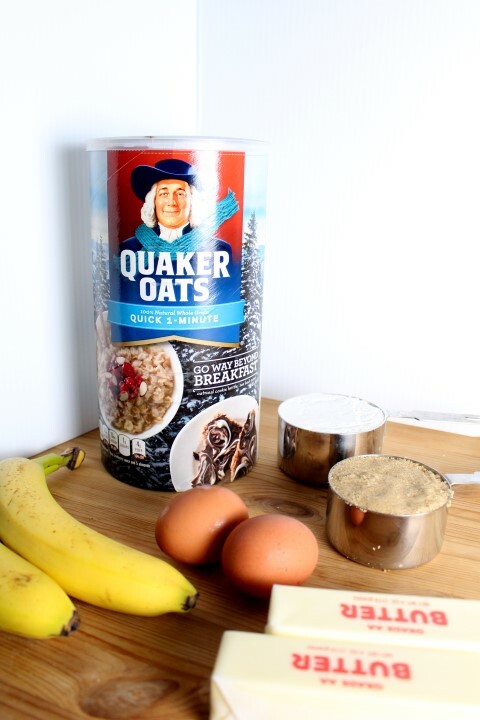 You’ll need your basic baking ingredients, butter, sugar, eggs, flour, some very ripe banana, the more spots the better and Quaker Quick Oats. Check out this cute, limited edition winter packing found only at your local Target. You can find it in the cereal isle along with the other oatmeal products. 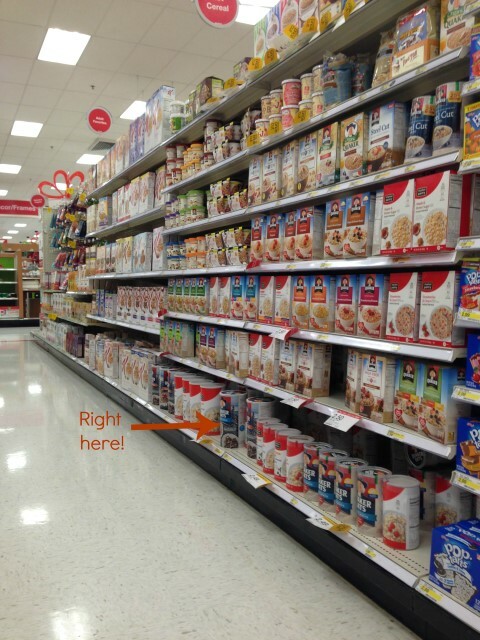 I frequent this isle quite a bit since Quaker oatmeal is a staple for me at breakfast. After a fun shopping trip, (I mean who can go to Target for just one ingredient?, I had to pick up some cute tights too!) Let your butter soften and gather some friends and family to stir up some cupcakes. First, cream together the butter and the sugar. Give it all the arm strength you have or use a stand mixer. 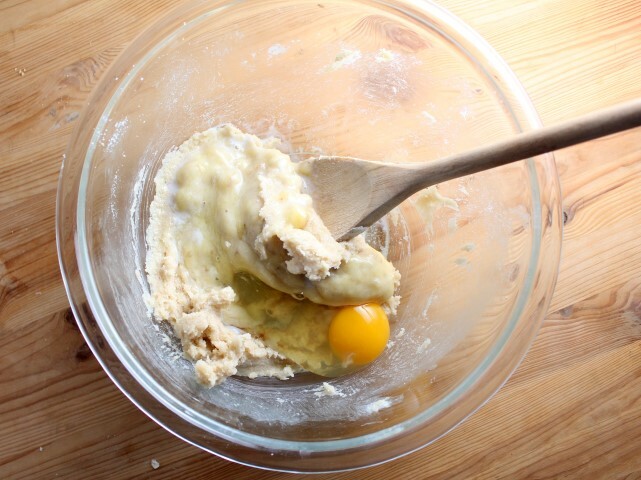 The more air you can beat into that butter mixture, the fluffier your cupcakes will be. Then add the egg, banana and vanilla. When my bananas start to get black spots on them, I throw them in the freezer. Then, when I need a few to bake with, I pull them out, let them thaw for about an hour and mash them good. 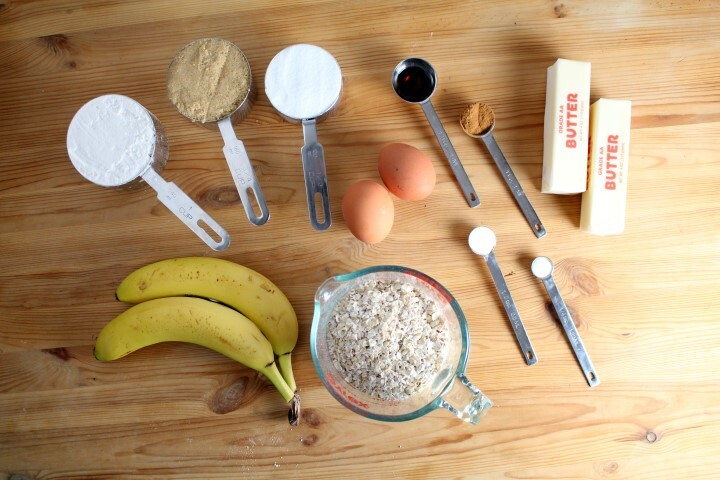 It allows me to always have extra ripe bananas on hand for baking. Next, stir together the dry ingredients and mix them into the wet along with the oatmeal. Then, spoon the mixture into the cupcake liners and bake. Frost and enjoy them with family and friends! 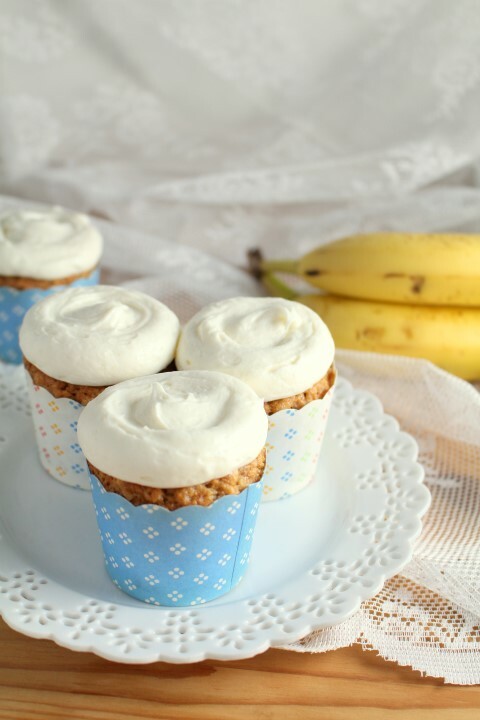 Banana Oatmeal Cupcakes with Cream Cheese Frosting. 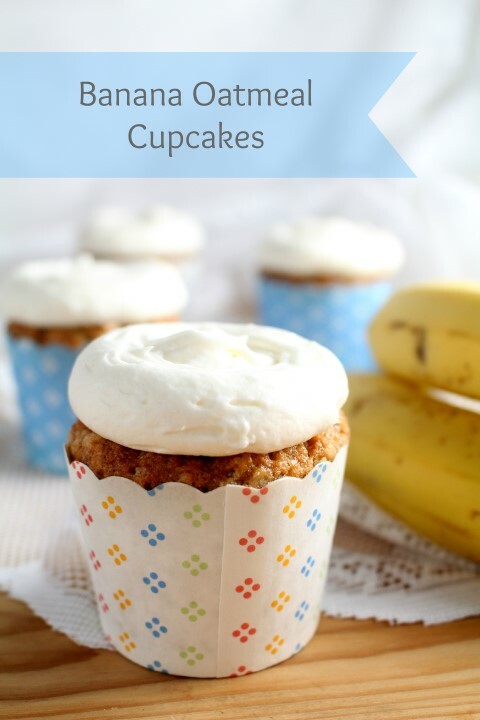 Banana Bread in cupcake form. 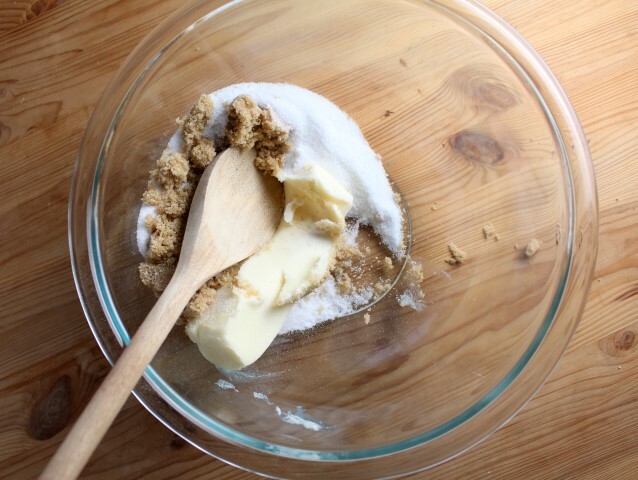 Preheat oven to 350 F. In a large bowl, cream together the butter and sugars. Beat in banana, eggs, vanilla and milk. 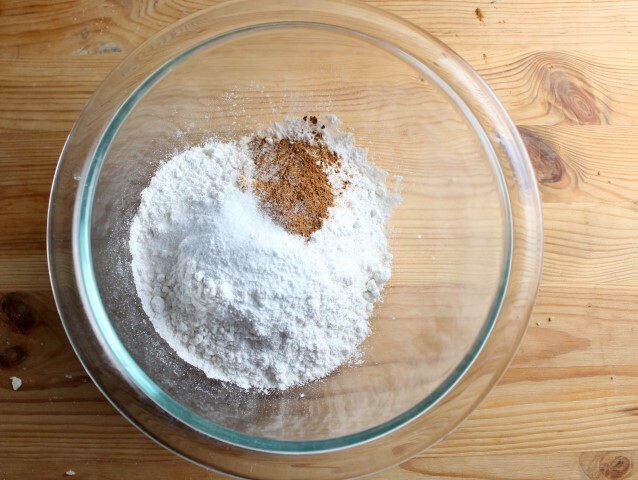 In a medium bowl, mix together the flour, salt, baking powder, and cinnamon. Add the dry ingredients along with the oatmeal to the wet and stir just until combined. 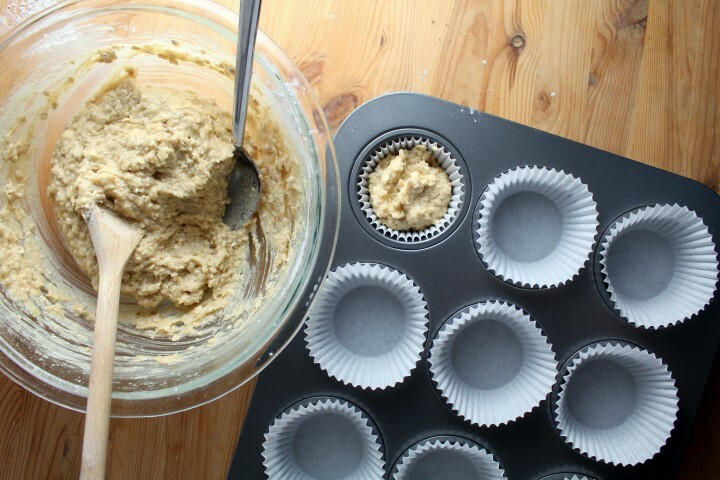 Line a muffin tin with cupcake papers and fill them 2/3 full with batter. Bake at 350 F for 17-18 minutes or until an inserted toothpick comes out clean. Cool completely. To make the frosting, beat the cream cheese and butter in a mixer until fluffy. Beat in the vanilla, powdered sugar and enough of the cream until spreadable. Pipe or spread the frosting onto the cupcakes and enjoy! Wow these cupcakes look heavenly! I like the way you think, Ashley. Perfect for breakfast! These cupcakes are so pretty! Bananas and oatmeal are my favorite! Love the cute liners too! They turned out beautiful! I be they’re delish too! These sound so delicious and I LOVE those cupcake liners, so cute!!! These look so perfect! Love the PYP cupcake liners! Thanks, Amber. The liners are so fun! 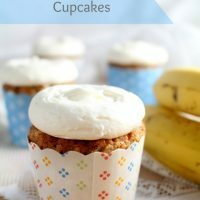 Thanks for the tip about freezing ripe bananas-was about to throw out several which had been a giftt-how many can u eat-I couldnt make those oatmeal – banana cupcakes cause I dont have all the ingredients Sound interesting-I usually make banana bread-these will be a nice change. Hi Jenn, I used a basic round tip with and opening about a centimeter wide. Then I finished spreading the frosting with a regular butter knife. Nothing fancy. I had only one banana, so I made half a recipe and they turned out great! I made them as breakfast muffins so I omitted the frosting, topped them with some crumb topping instead. they are delicious! I just made these cupcakes and I couldn’t wait to frost them before I tried one. Then I tried one with frosting haha. Both are great but I think I prefer them without the frosting as sort of a muffin. The oatmeal, to me, makes it perfect for a morning breakfast. I’ll be able to “sell” them to the rest of the family with the frosting though. Love it.